PRE MARDI PARTY WITH SYBIL GAGE! 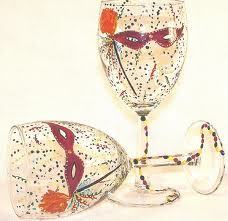 Get ready for another great Mardi Gras celebration in the vineyard -5pm. Featuring the New Orleans native SYBIL GAGE & HER CATAHOULA BAND! www.sybilgage.com New Orleans inspired by Creative Chef on wheels. Mardi Gras beads & party favors. Get ready to party NOLA style! RAIN OR SHINE! No ticket req'd. Charity: Little Birthday Angels.